Marie Josephe Guyon dit Lemoine was the daughter of Joseph Guyon dit Lemoine and Élisabeth Guillet.1 Marie Josephe Guyon dit Lemoine married Michel Coursol on 25 May 1739 at Québec, Ontario, Canada. [S565] Ruth Dakin, "Eva Ruth Holcombe," e-mail to James H. Holcombe, 10 May 2005. Frederick Palmer married Amabelle Ferguson. Amabelle Ferguson married Frederick Palmer. Frederick Dakin married Harriet Ellis. Harriet Ellis married Frederick Dakin. [S174] William Bradford Browne, The Babbitt Family History: 1643-1900, page 357. Lizzie Nichols Babbitt was born on 17 April 1856 at MA. She was the daughter of Pliny Henry Babbitt and Lydia Perry.1 Lizzie Nichols Babbitt married Harding Jenkins on 10 January 1882. Harding and Lizzie were enumerated in the 1900 Barre, Worcester Co., MA, federal census. He was a druggist, age 47, she was 44. 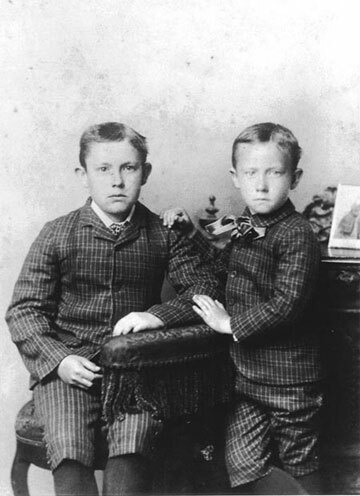 Childlren in the household were Ruth 15, and George H. 14. Father-in-law Pliny Babbit was also in the household. Harding and Lizie were enumerated in the 1910 Barre, Worcester Co., MA, federal census. He was the proprietor of a drug store, age 57, she ws 54. There were no children enumerated in the household. [S174] William Bradford Browne, The Babbitt Family History: 1643-1900, page 358. Harding Jenkins was born on 10 August 1852 at Barre, Worcester Co., MA. He married Lizzie Nichols Babbitt, daughter of Pliny Henry Babbitt and Lydia Perry, on 10 January 1882. (?) Wells married Cynthia Messenger, daughter of William Rufus Messenger Sr. and Edna Grace Spring. [S182] Social Security Death Index (on-line), Ancestry.com, SSDI, Ancestry.com, SSAN 045-58-6320. [S182] Social Security Death Index (on-line), Ancestry.com, SSDI, Ancestry.com, SSAN 041-26-0896.